January 2, 2019 January 2, 2019 Inderjeet3 Comments on Gippy Grewal starring ‘Manje Bistre 2’ teaser is out, this time it’s in Canada! 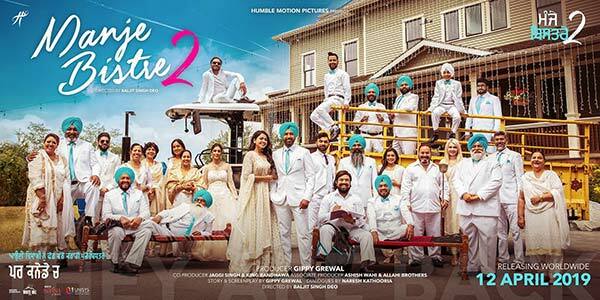 Gippy Grewal’s upcoming film Manje Bistre 2 teaser is out and this time Manje Bistre will be collected in Canada. Yes, this part is being shot in Canada but theme of the film is as same as it was in first part. ‘Manje Bistre 2‘ is the sequel of Gippy Grewal’s 2017 hit movie with the same name as first part i.e. ‘Manje Bistre’. First part was also released on Vaisakhi 2017 and this part is again going to make you laugh and entertain on the same day after exact two years. Manje Bistre 2 is going to release on this Vaisakhi i.e. 12th April. This 75 seconds teaser of Manje Bistre 2 doesn’t show much of the things but will push you to the laugh for sure with its only scene. Gippy Grewal is the main pillar of ‘Manje Bistre2‘ as he is the actor, writer and producer of the film while Baljit Singh Deo is the director of the film. Simmy Chahal is the lead actress with Gippy and Gurpreet Ghuggi, Karamjit Anmol & B.N Sharma are in the supporting cast. Stay tuned for further updates regarding Gippye Grewal’s ‘Manje Bistre 2’. Check out Ranveer Singh and Alia Bhatt First Look in their upcoming film Gully Boy! 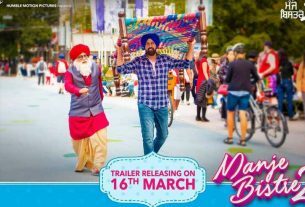 Gippy Grewal’s Manje Bistre 2 Trailer to out on 16th March! Chandigarh Amritsar Chandigarh Teaser Reaction: Gippy Grewal and Sargun Mehta looking cool together. 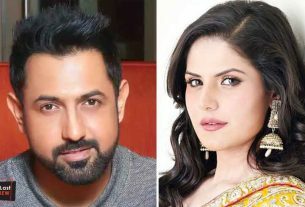 Gippy Grewal and Zareen Khan coming again in a Punjabi Film Title – ‘Daaka’, shooting starts tomorrow.